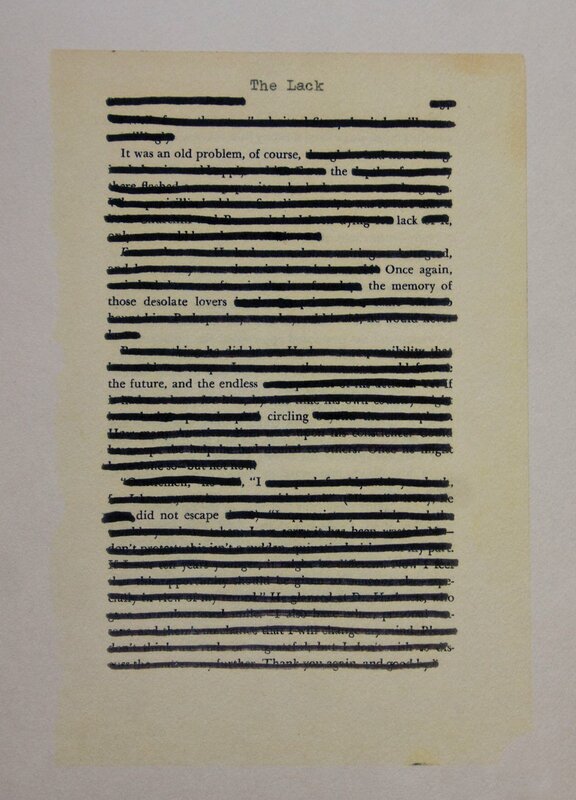 Blackouts are works of experimental poetry created by the erasure of narrative. 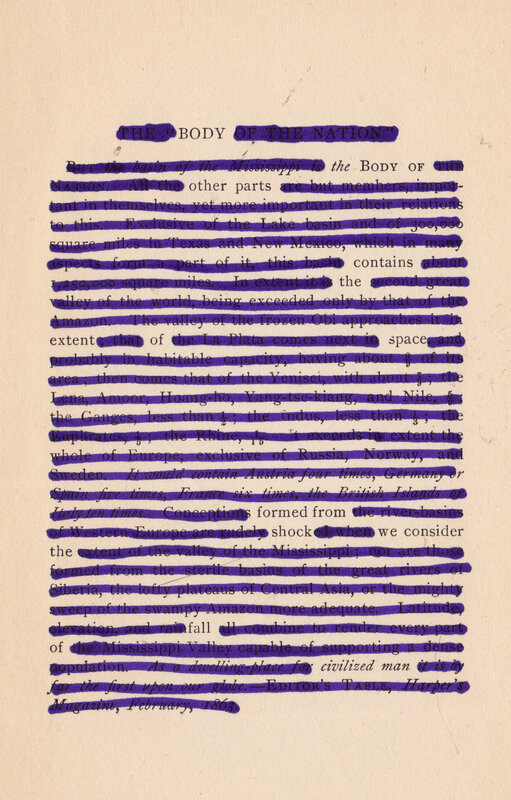 The act of blacking-out becomes an oracular gesture of revealing withdrawn poetic utterances from another's seemingly fixed text. This series was created using six random pages from a vintage hardcover of Arthur C. Clarke's Tales of Ten Worlds. Prints are available for online purchase. Please contact me privately for details. 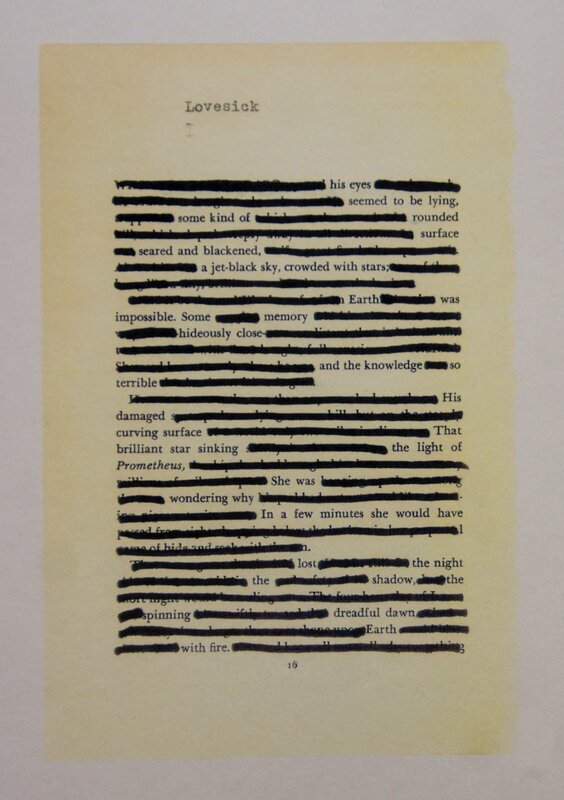 This series was created using six random pages from a vintage hardcover of Mark Twain's Life on the Mississippi.